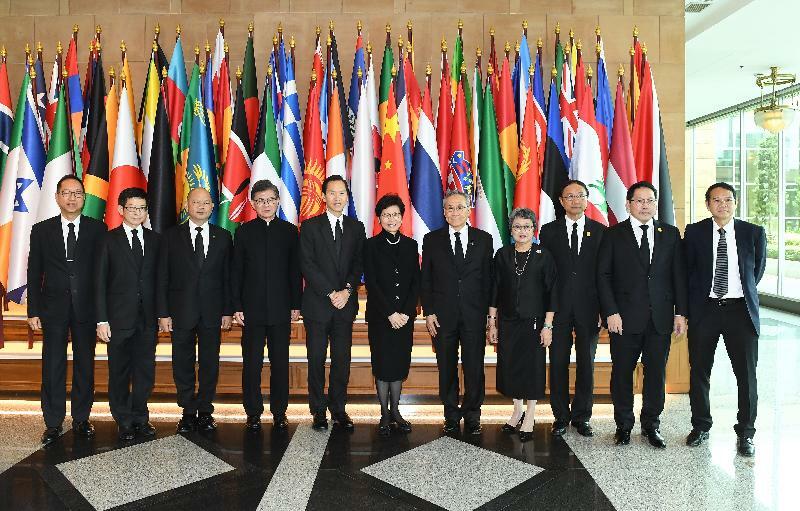 The Chief Executive, Mrs Carrie Lam, accompanied by the Convenor of the Non-official Members of the Executive Council, Mr Bernard Charnwut Chan, embarked on the second leg of her visit to countries of the Association of Southeast Asian Nations (ASEAN) in Bangkok, Thailand today (August 4). 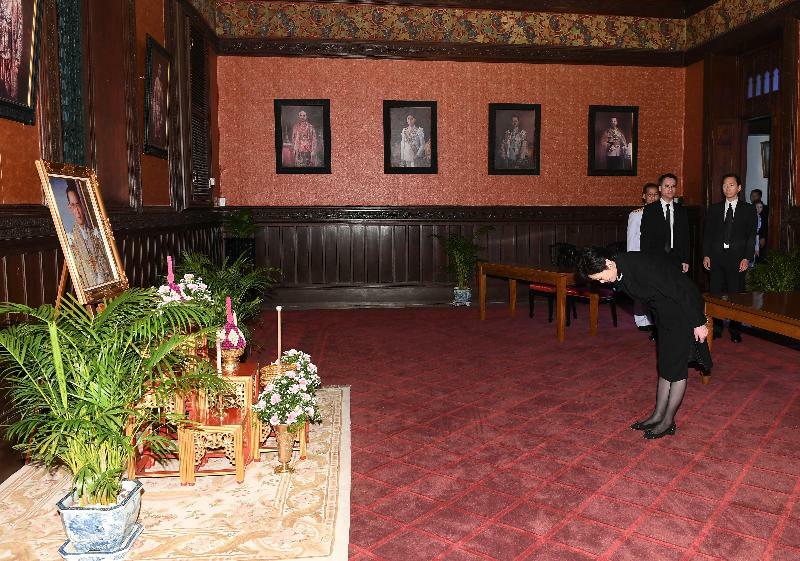 Holding the late King of Thailand, His Majesty Bhumibol Adulyadej, in high regard, Mrs Lam started the day by paying respects to him at the Grand Palace. 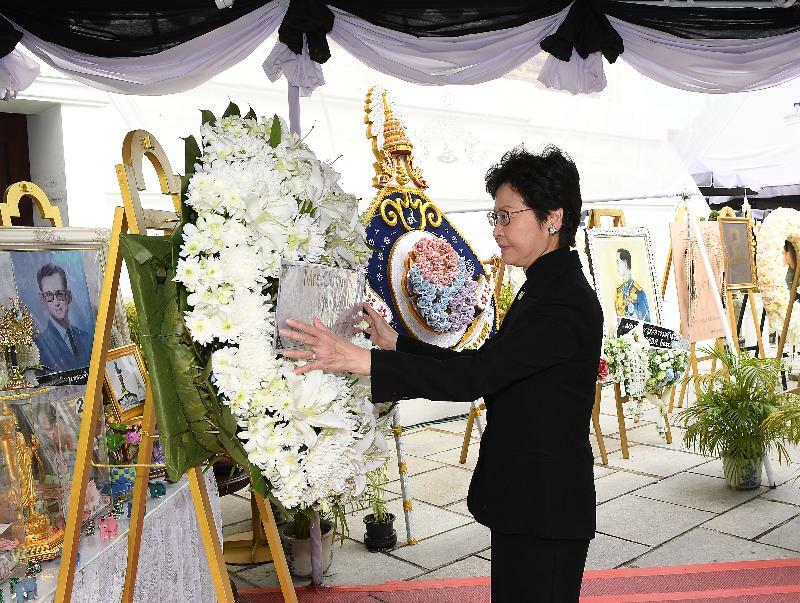 She said that the late King of Thailand devoted himself to Thailand and strived to improve the livelihood of the Thai people. 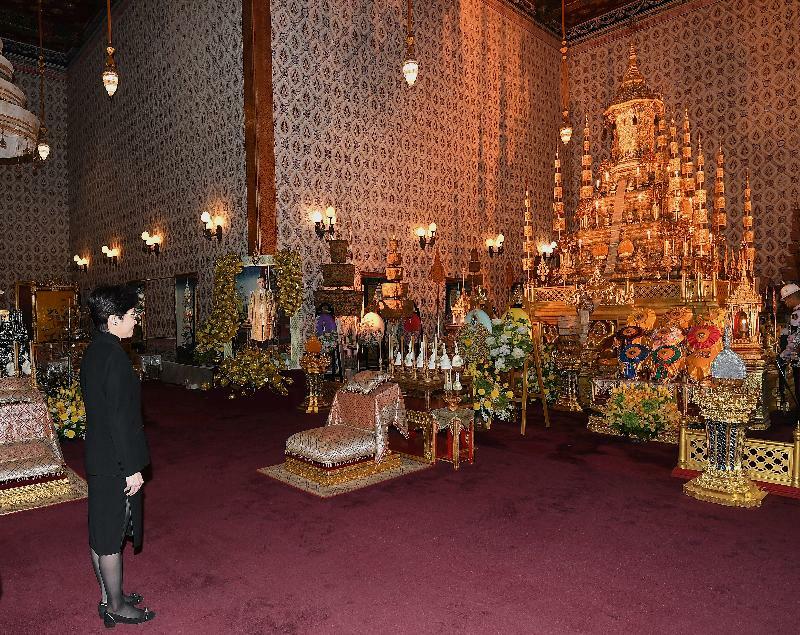 He is not only revered by his people, but is also immensely respected by the international community. He is truly a role model for leaders. 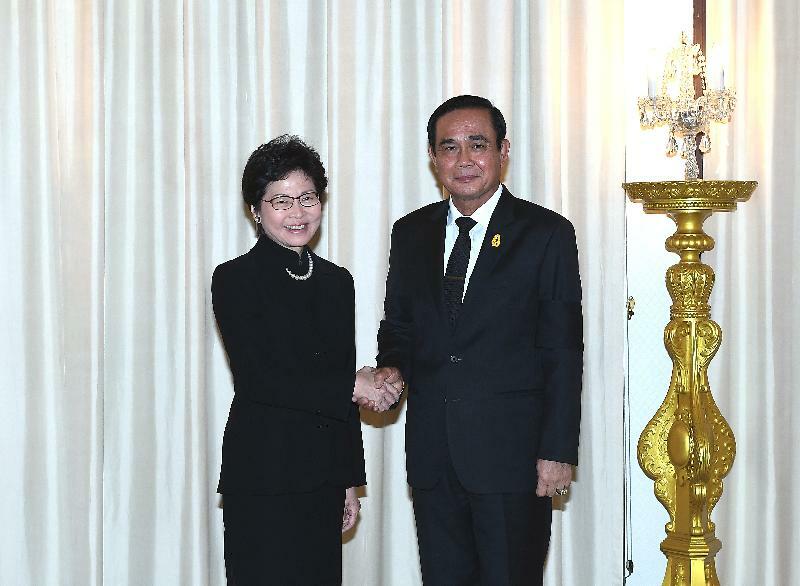 Mrs Lam then met with the Prime Minister of Thailand, Mr Prayut Chan-o-cha. 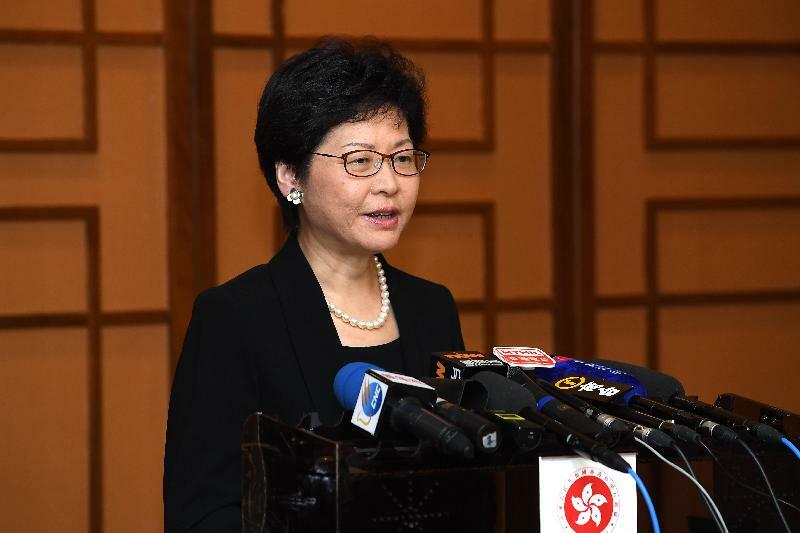 She introduced to him Hong Kong's unique role in the Belt and Road Initiative and the development of Guangdong-Hong Kong-Macao Bay Area, as well as the advantages of Hong Kong's professional services in areas including finance and construction. 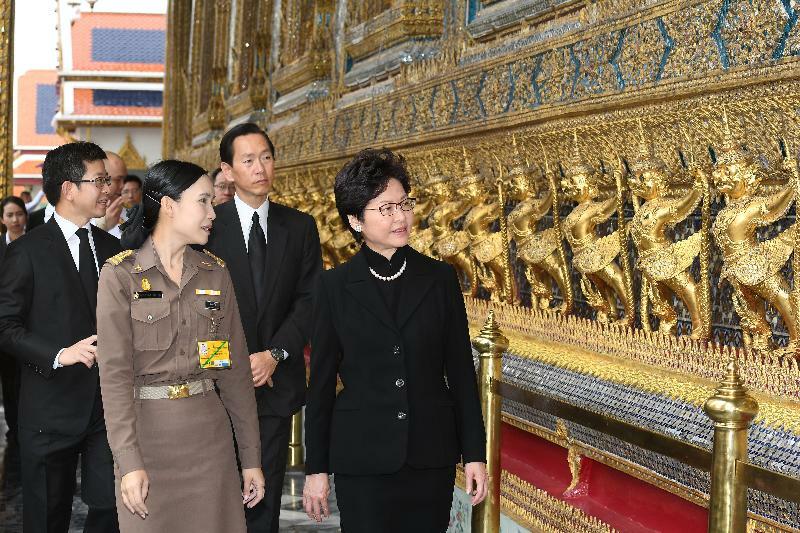 She hoped to promote trade and investment between Hong Kong and Thailand, and step up exchanges between the two governments as well as co-operation in areas including tourism. 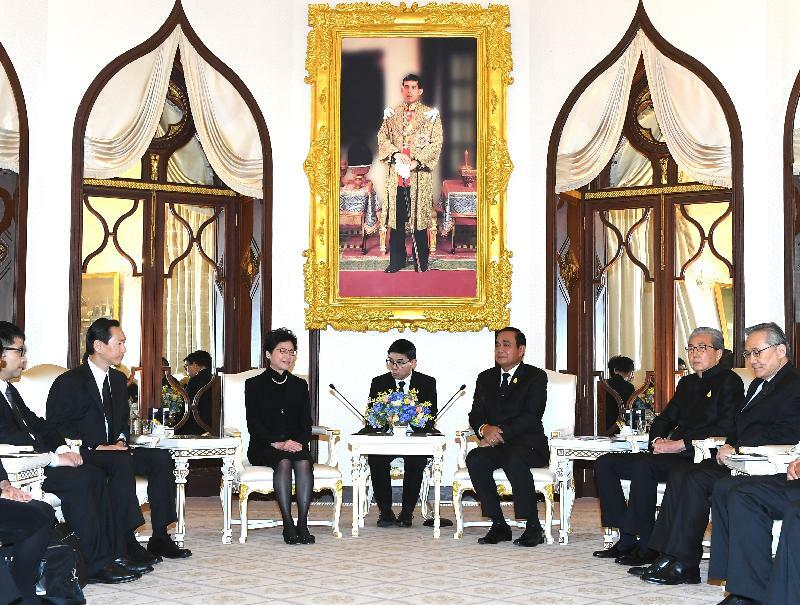 Before noon, Mrs Lam attended a meeting at the Ministry of Foreign Affairs hosted by the Minister of Foreign Affairs, Mr Don Pramudwinai. 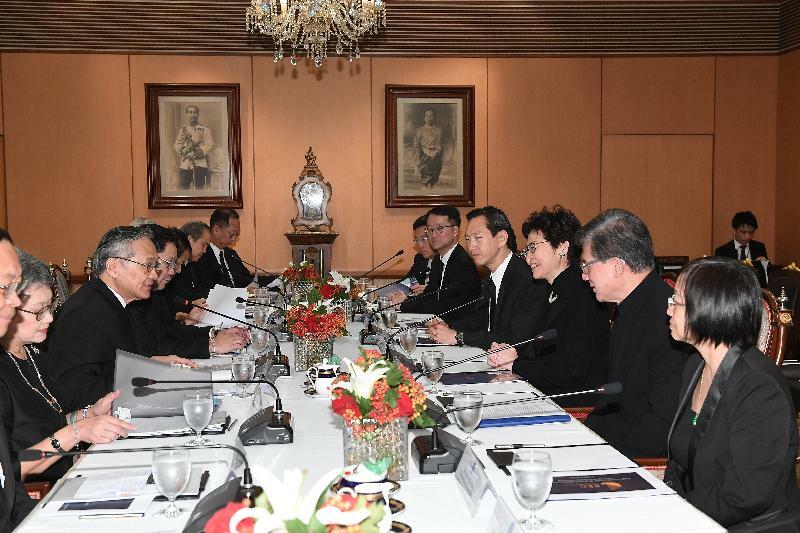 Also present were the Minister of Commerce, Mrs Apiradi Tantraporn; the Minister of Industry, Mr Uttama Savanayana; the Minister of Digital Economy and Society, Mr Pichet Durongkaverote and other senior government officials of Thailand. 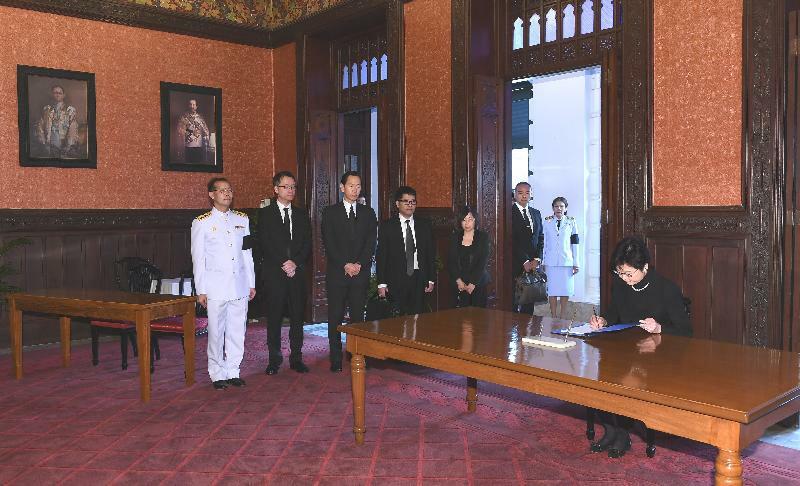 She thanked the relevant ministries of the Government of Thailand for their support for the Free Trade Agreement between Hong Kong and ASEAN as well as the important co-ordination role they took during the negotiations. She hoped that the FTA would be signed and implemented as soon as possible, bringing mutual benefits to all the parties. 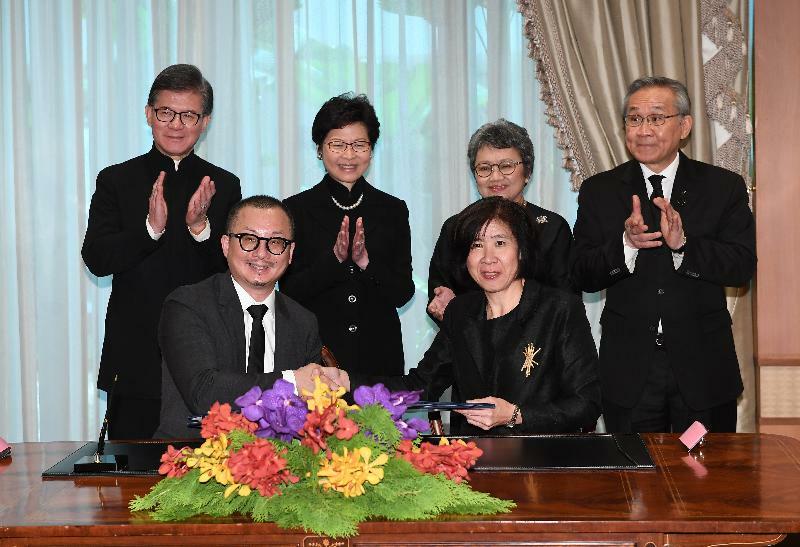 After the meeting, Mrs Lam witnessed the signing of a Letter of Intent between the Hong Kong Trade Development Council and the Department of International Trade Promotion under the Ministry of Commerce, which aims to enhance trade promotion and capacity building, foster start-ups and groom young entrepreneurs and talents. 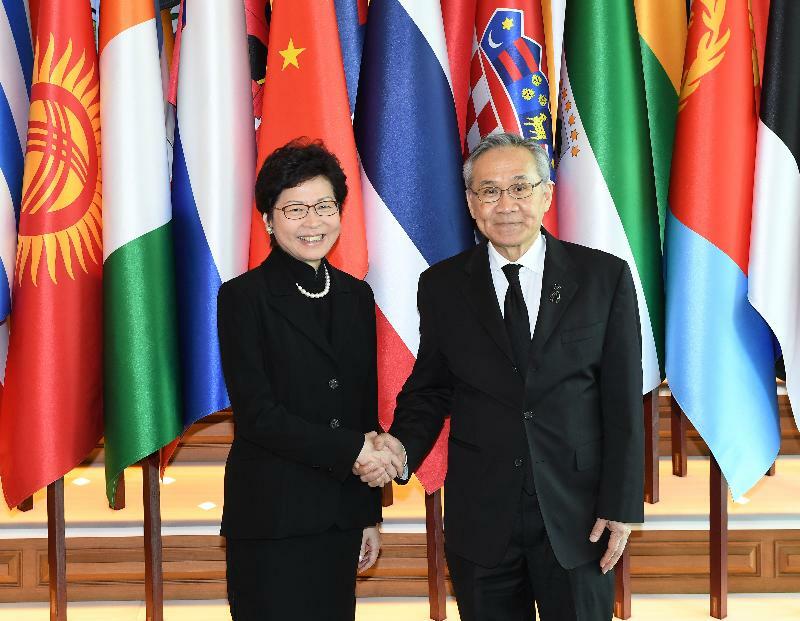 In the afternoon, Mrs Lam paid a courtesy call on the Chinese Ambassador to Thailand, Mr Ning Fukui, to thank him for his support for the multi-faceted exchanges between Hong Kong and Thailand, and for offering consular assistance to Hong Kong people in need. Mrs Lam then attended two roundtable forums to exchange views with participants and explore collaboration opportunities. 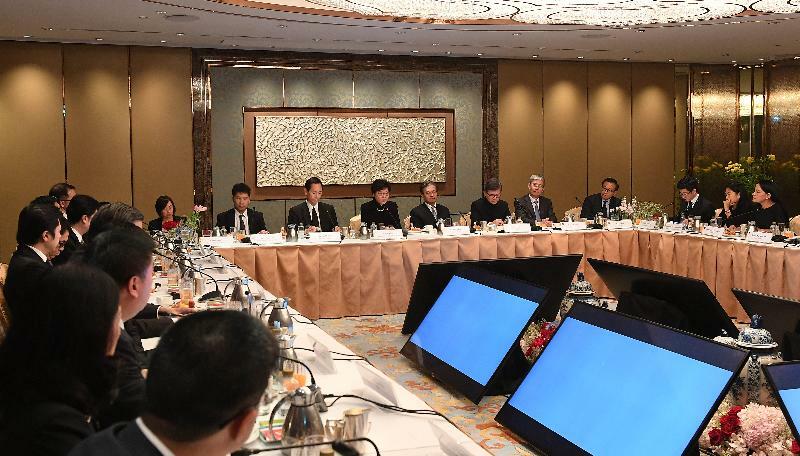 One of the forums was attended by leaders of various industries and businesses in Thailand, who also have investments in Cambodia, Laos, Myanmar and Vietnam, while the other was taken part by leading representatives of local companies in the creative industries. 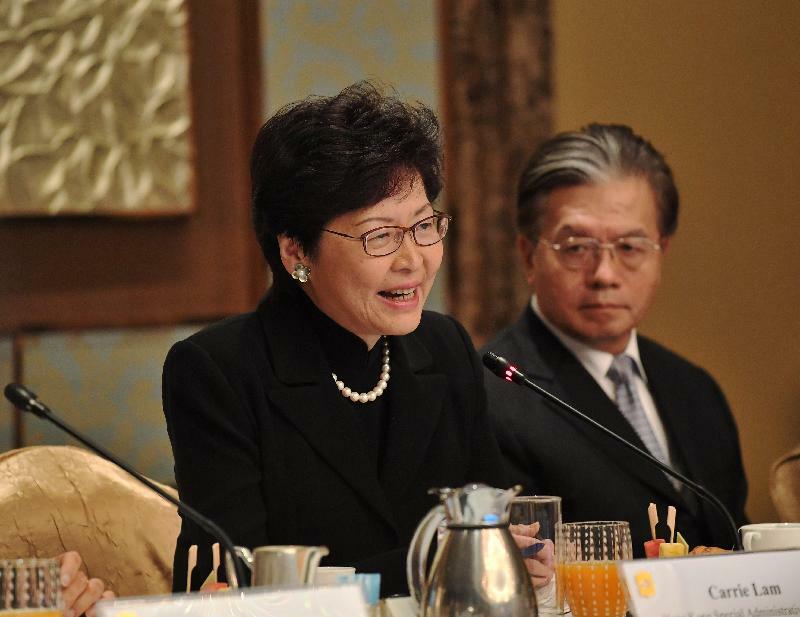 Noting that a series of measures to improve the business environment and promote economic developments would be rolled out by the new-term Government of the Hong Kong Special Administrative Region, she looked forward to boosting sustainable development and growth in the economies in both places through closer co-operation of the two governments and the industries. 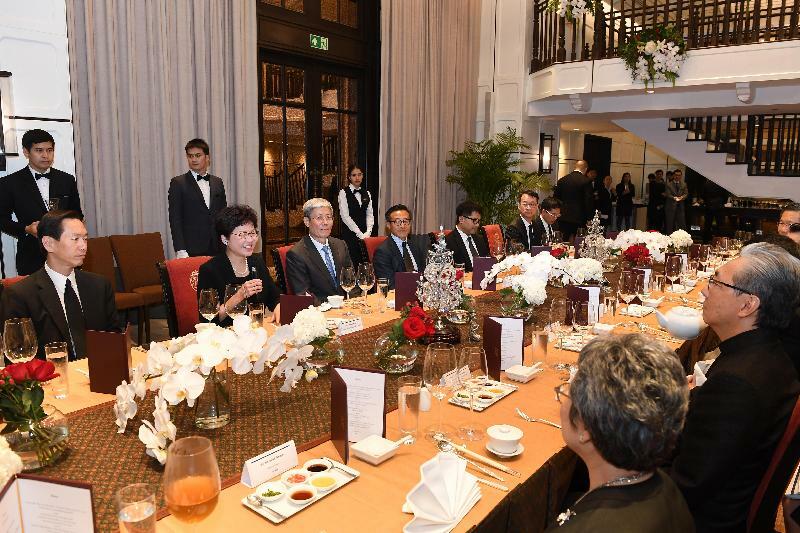 In the evening, Mrs Lam attended a dinner hosted by the Deputy Prime Minister of Thailand, Mr Somkid Jatusripitak. Mrs Lam will return to Hong Kong tomorrow (August 5) morning.